What is a Bachelor of Science in electrical engineering? This program is tailored to students who want to understand and participate in the ever-growing world of electronics technology. Students learn the fundamental concepts related to the design, development, testing and modeling of a wide range of electrical systems. By gaining skills and technological expertise, students leave this program prepared to succeed in graduate studies or a variety of career fields. 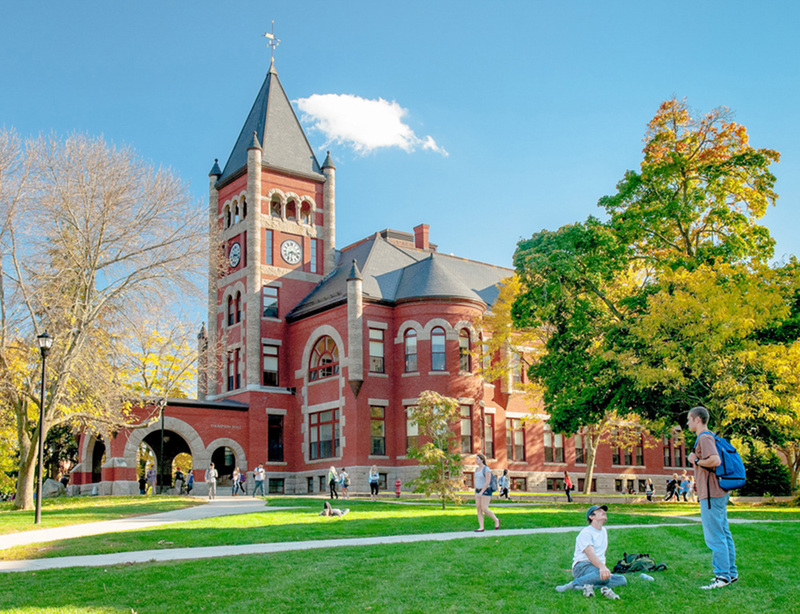 Why study electrical engineering at UNH? You’ll work in a hands-on laboratory environment that reinforces traditional classroom learning while providing the real-world skills valued by employers. Seniors choose from a suite of professional technical electives and carry out a capstone design project tailored to their career objectives. 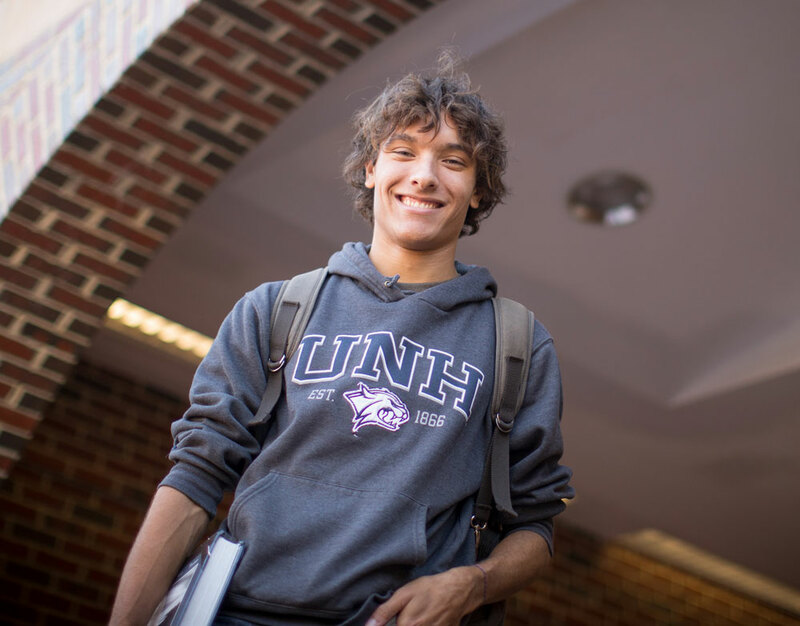 You can complete an accelerated master’s program, participate on competitive teams at national competitions and gain real-world experience at the UNH InterOperability Lab, working alongside top tech companies to test their technologies before they hit the marketplace. This ABET-accredited program has a high placement rate because of its great reputation among industry employers. In addition to the university's mandatory Discovery Program requirements, degree candidates must complete our core program (freshman through junior years). In the senior year, students select professional technical electives in the areas of their interest. They also carry out a student-designed project to acquire both breadth and depth of study and to integrate knowledge across course boundaries. For a detailed semester by semester list of requirements for the four years of study, please refer to the Degree Plan tab. Students who wish to preserve the option of transferring to the computer engineering major without incurring a delay in graduation should consult with their academic adviser before electing these courses. It is recommended that such students take CS 415 Introduction to Computer Science I in the fall semester and CS 416 Introduction to Computer Science II in the spring semester in place of the listed courses. Honors students who complete ECE 791H Senior Honors Project I and ECE 792H Senior Honors Project II satisfy one professional elective requirement as well as the requirements for ECE 791 Senior Project I and ECE 792 Senior Project II. ECE 791 Senior Project I and ECE 792 Senior Project II fulfill Discovery Program Capstone Experience. Math/Science Elective approved courses: MATH 644 Statistics for Engineers and Scientists, MATH 647 Complex Analysis for Applications, CHEM 405 Chemical Principles for Engineers, MS 762 Electronic Materials Science, PHYS 505 General Physics III, PHYS 615 Classical Mechanics and Mathematical Physics I, ME 523 Introduction to Statics and Dynamics. Students are required to take either ECON 402 Principles of Economics (Micro) or EREC 411 Environmental and Resource Economics Perspectives to fulfill the Social Science Category of the Discovery Program. Fulfilling the EE Program curriculum automatically meets Discovery Category, "Environment, Technology and Society." In addition to Discovery Program requirements, the department has a number of grade-point average and course requirements. Any electrical engineering major whose cumulative grade-point average in ECE courses is less than 2.0 during any three semesters will not be allowed to continue as an electrical engineering major. Electrical engineering majors must achieve a 2.0 grade-point average in ECE courses as a requirement for graduation. To make an exception to any of these departmental requirements based on extenuating circumstances, students must petition the department's undergraduate committee. Mindful of these rules, students, with their adviser's assistance, should plan their programs based on the distribution of courses found in the Degree Plan tab. Electrical Engineering curriculum flowchart for students entering the program in Fall 2017 and beyond. If you entered prior to Fall 2017, your curriculum will follow the undergraduate catalog of your year of entry.